Routine lifestyle choices can reduce performance and increase susceptibility to diseases. Diet affects mental alertness, mood and duty performance. Proper nutrition goes hand-in-hand with regular exerciser. TOO MUCH of one kind of food consumed during a single day can adversely affect a flight crew or cabin crew member’s duty performance, especially if fatigue or sleepiness is induced. Too little food or an irregular schedule of food intake can also increase irritability and decrease endurance. In addition, dietary habits are linked to heart disease, stroke, high blood pressure, cancer and dental diseases. Moreover, poor choices can result in health problems that may end crew members’ careers, their good health and even their lives. Individuals vary in their digesting and processing of food. Some people, for example, through rapid metabolism, tolerate very high intakes of carbohydrates. Others process fat efficiently. Still others gain weight after eating too many carbo- hydrates or fats. Food is often a source of considerable pleasure and is a reflection of our social fabric and cultural heritage. Yet what we eat also affects our short- and long-term wellbeing. Many cultural influences determine what foods are available and are chosen for consumption. Home and work environments may include extremes of cold, hot, humid or dry conditions. Climate often plays a major role in determining what kinds of foods are available. characteristics. Taste expectations for food are essentially the result of a learned process. Everyone has had the experience of eating an unfamiliar food and initially finding it unpleasant. The same experience is true of the sense of smell. At first, the smells of some cheeses are unappealing to many people. In addition, there are expectations about a food’s shape and colour, and any variation can produce a negative or cautious 34 World Aimews, July 1997. response. Food texture is also very important. An apple should have a certain resistance that makes biting into it very different from biting into a banana. 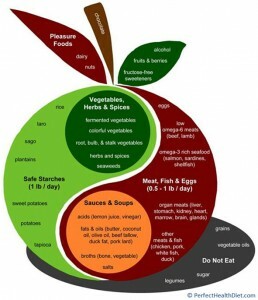 Healthy eating habits are described at length in a report by the US SurgeonGeneral. Cholesterol is a fatty substance that is linked to the clogging of arteries, especially the arteries of the heart. The name cholesterol is derived from the substance’s lugh concentration in bile (“chol”), its tendency to separate from other blood components (“ster” – solid) and its chemical make-up of an alcohol nature (“ol”). Alcohol) is a family of organic compounds that contain the atomic group OH (oxygen hydrogen) in conjunction with a chain of carbon atoms. Cholesterol in the diet is metabolized by the liver. For people who inherit a relatively low number of cholesterol receptors in the liver, a diet high in cholesterol will result in longer circulation times of inesterol will be extracted from the blood on each pass through the liver. This will, over the long term, harm arterial health, as cholesterol deposits accumulate on arterial walls and begin to block blood flow. “Intervention to lower elevated blood cholesterol levels has been shown in both human and animal studies to reduce coronary heart disease risk …. The first line of intervention is diet therapy. To help reduce cholesterol levels, people should eat foods, such as vegetables, fruits, whole-grain foods, fish, poultry, lean meats and low-fat dairy products, that are relatively low in fatty substances. “A simple rule of thumb is that cholesterol is found only in animal products (including dairy products) – not fruits and vegetables”. The report says that “high intake of total dietary fat is associated with increased risk for obesity, some types of cancer and possibly gallbladder disease. “Dietary fat contributes more than twice as many calories as equal quantities (by weight) of either protein or carbohydrates.” Types of fats include free fatty acids, glycerols (a form of alcohol that the body produces from the dietary fats), cholesterol and the large fat molecules in butter and margarine. Fats are stored in body tissues if the daily caloric intake, especially fat intake, exceeds daily caloric output. Fats yield nine calories per gram when metabolized. A ^calorie is 1 000 calories. A ^calorie is the amount of heat energy necessary to raise the temperature of one gram of water by one degree Celsius (1,8°F), starting from 14,5°C (58°F), with pressure constant. The amount of exercise determines whether excess fat is stored or burned during exertion. Fats tend to remain in the stomach longer, resulting in a longer period of satisfaction after a meal; hence, the pleasure some people experience after consuming large amounts of fatty meat, butter and other foods high in fat content. Using food preparation methods that add little or no fat is another way to control consumption of fats. If a person has dif- ficulty metabolizing cholesterol, dietary cholesterol should be restricted. Medical supervision is often advisable in managing dietary restrictions. Long-term intake of specific foods will influence short-term digestive capabilities. An abrupt change in diet might result in temporary discomfort immediately following eating. To reduce the likelihood of digestive upset, a crew member should be prepared for the dietary differences that might be encountered in different national regions and in other countries. Dry-packaged foods can be carried on flights that do not require long crew layovers, and fellow crew members may know where familiar food can be found. In addition, crew members can experience a variety of foods before the trip – usually in local restaurants – and focus on foods that may be expected during fu- ture layovers. Carbohydrates are the quick-energy substances of the diet. When metabolized, they yield four ^calories (4 000 calories) per gram. A large, physically active young man may requires 4 000 ^calories of energy per day. Proteins give structure to the body. When metabolized, proteins yield four ^calories per gram. Proteins also stimulate “specific dynamic action,” a process in which measurable heat is produced when protein is metabolized. The preference of those in very cold climates for diets high in protein and of those in- hot climates for diets high in carbohydrates, is attributed partly to the different processing mechanisms for these substances and their differing effects on the body. Difficulty in processing some nutrients can cause serious health problems. Diabetes, for example, affects appoximately five to eight percent of the population. People who require insulin injections to properly metabolize glucose – the form of sugar that the body uses for its metabolism-are defined as having insulin-depend- ent diabetes mellitus (Type I diabetes). Those who have difficulty processing glucose, but can control their diabetes with dietary restrictions, are defined as having noninsulin dependent diabetes mellitus (Type II diabetes). If an individual processes glucose slowly (noninsulin-dependent diabetes mellitus), sugar intake should be restricted. Controlling obesity by reducing dietary fat intake can also help control Type II diabetes. This guideline is consistent with dietary recommendations for the prevention of coronary heart disease, hypertension (high blood pressure) and some types of cancer. Through screening programmes, crews should learn about their metabolic characteristics, such as blood glucose, blood lipids (including the high- and low-density forms of cholesterol) and other blood elements. Body fat content should also be estimated. A target body weight can guide food intake and exercise practices. Although a general knowledge of good nutrition principles is useful, it does not fully enable a crew member to decide on a specific diet or rate the nutritional quality of particular food items. A crew member should be prepared for the dietary differences that might be encountered in different national regions and in other countries. For day-to-day guidance, various books provide guidance for optimising consumption of proteins, carbohydrates, fibre, vitamins and minerals. For example: One book describes a system that scores foods for their nutritive value, and lists the number of points for particular foods within the categories of vegetable, fruit, grain, legume, milk/dairy and meat/poultry/fish. It even gives separate scores for different brands of the same type of food in some cases. The system also considers food from the view-point of caloric intake and suggests that an average of about 100 points a day will provide enough calories to be satisfying, while avoiding extremes of caloric ingestion that could cause weight gain or loss. Optimum health is achieved with good nutrition and exercise. The 206 bones of the human body are actuated by more than 600 muscles. The bones provide support against gravity, and the muscles derive their energy from ingested food. For these and other reasons, a lifestyle that includes regular exercise is necessary for robust health, thereby enhancing individual performance. Each crew member should determine a long-term diet and exercise programme that is best for him or her and stick to it. Then use discipline – and no excuses – to follow the programme. Calcium retention is another benefit provided by exercise. When a muscle contracts against a bone, the bone retains calcium. With insufficient forces on them (lack of exercise), bones release calcium *into the blood, after which it is excreted in the urine. This can ultimately result in loss of bone density, condition known as osteoporosis. Weight-bearing exercise increases both muscle endurance and size. Sensible exercise also improves circulatory efficiency and cardiovascular conditioning. A well-conditioned heart muscle can provide continuing support for the muscles of the body and meet organ demands for circulating blood. Endurance during long duty periods will be improved. Some scientific evidence suggests that obesity can be linked to genetic factors, but dietary patterns, caloric intake and energy expenditure play key roles. Long-term efforts to reduce body weight can be achieved best by proper diet and exercise. The US report presented a quick method to determine if one is chronically over-nourished. The method involves measuring the body mass index (BMI) to determine relative obesity. To calculate BMI, divide body weight in kilograms (one kilogram = 2,2 pounds) by height squared in metres (25,4 mil- limetres = one inch; 1 000 mm = one metre). If a man’s BMI is above 31, he is said to be severely obese; between 28 and 31, moderately obese; between 24 and 27 is normal, and below 24 he is underweight. For women the figures are: above 32, 27- 32, 23-26 and below 23 respectively. Monitoring BMI gives a crew member quantitative information on the physical effects of lifestyle and nutrition changes. Crew members should monitor their BMIs to guard against undesired weight gain. Nevertheless, the body mass index only provides guidelines, which represent average adult ranges. Medical knowledge of the complex relationship between diet and health continues to evolve. Crew members should keep themselves informed about developments relating to health and performance. By courtesy: Flight Safety Foundation: Human Factors & Aviation Medicine.